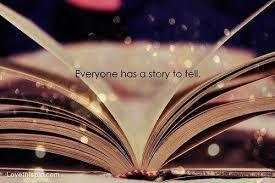 I believe that everyone does have a story to tell. I also believe that everyone has the capacity to make that story epic. The vast majority of us live small. We live responsible lives, we play by the rules and for the most part, we are happy to exist in our personal comfort zones and go through life in a blissful state of safety. But every once in a while we feel that little spark of yearning in our souls for adventure. So we tilt our heads up, focus on the distant horizon and imagine. What would it be like to live in a different city? What if I changed careers? What if I learned to sail, or ski, or kayak, or climb mountains and then we expand our imagination with all the possibilities and the thoughts become our dreams. And that is as far we dare go. They are only dream after all. Maybe someday……..
Do you know why we prefer to live with only dreams instead of memories of things we have actually done? Because then we would have to believe. You must believe………or nothing begins. Who hasn’t looked at someone who has achieved greatness in their life and thought, “They are so lucky. They have been blessed with immense talent. It must be their destiny, they are a star.” We look upon them with envy and awe for the amazing life that they have created. Well there are billions of talented individuals out there. Some even more gifted than those who made it and achieved the pinnacle of success. The one factor that differentiates us from them is the fact that successful people believe. Everything else, every stumble, every fear, every failure to them is just part of the journey. Oprah Winfrey tells the story of being at a Tina Turner concert and being asked by Tina to come up on stage for a song. Now for Oprah, Tina Turner is amazing, and she is awed by Tina’s talent and her epic life and was scared witless to be on Tina’s stage in front of thousands, with back up dancers, a band and bright lights while Tina performed. This is Oprah Winfrey I’m talking about here. A woman whose own life is as big and as epic as they come in our modern time. But even hero’s have hero’s and Tina Turner is one for Oprah. Did she get up on stage? You bet she did. Oprah recounts that she could have waved off the invitation and chose to play it small and stay at the side of the stage and watch her idol perform but she knew that this chance would never, ever, come again. She believes in grabbing the brass ring of life when it is offered and she believes that opportunities, when presented need to be taken. So she opened herself to the moment and just went for it. Not caring what others thought of her dancing up there on that stage or if she was making a fool of herself. She just thoroughly enjoyed the experience and it has become a memory she will never forget. Epic lives come in every shape and size. It doesn’t matter what the dream is, how big or how small it is, if it is something you want to do then it has the makings of being part of your own hero’s adventure. If it matters to you, it is worthy of your unwavering belief, and you, are worthy of it. What do you want the next chapter of your story to read like? A page turning adventure where lost treasures are found or formidable mountains scaled, or a romantic love story where the brainy bookish girl wins the heart of the handsome, compassionate prince of a man, or maybe a heartwarming tale of the good guy who finally finishes first instead of last. How ever you chose to design your life make sure you choose to believe that you are worthy of making it epic. Maybe I was 😉 I believe that we receive the messages that we need to hear from everywhere, even from a middle aged crazy apprentice Crone! Thank you. I have made it my mission in life to leave an epic story behind when it is my time to go. Ain’t that the truth! What is it that you should take a risk with? Diana, there is so much, where should I start? Writing full-time, travelling more, moving countries ‘again!’. I just enjoy change, & adventure.